Recreating the moon is no small feat. In this Behind the Frame, Damien Chazelle and team explain how they used IMAX cameras to transport audiences to the moon. When you watch Damien Chazelle’s First Man in IMAX, you will experience one of mankind’s greatest accomplishments in the most immersive way possible. The Academy Award-winning filmmaker captured the breathtaking lunar sequences of the legendary Apollo 11 mission with IMAX’s high-resolution cameras. Why is that important? 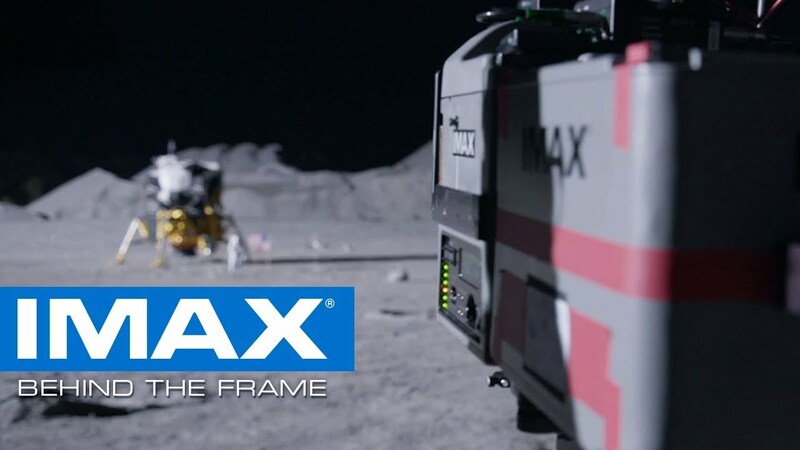 Because only in IMAX theatres will you see up to 26% more picture on screen during the lunar landing – providing audiences with even greater scope and the clearest images for a truly immersive experience that will transport you to the moon. Advance tickets to experience Universal Pictures’ First Man in IMAX are now on sale.